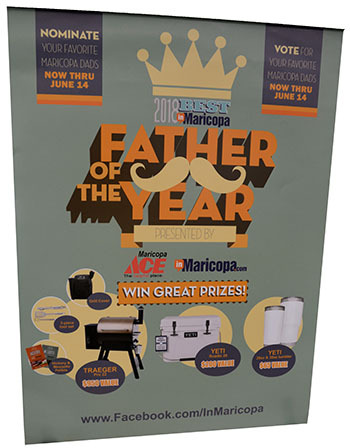 Home Tags Articles tagged with "Best Dad in Maricopa"
With more than 40 fathers nominated as the Best Dad in Maricopa for Father’s Day, it took a lot of social media support to come out on top. 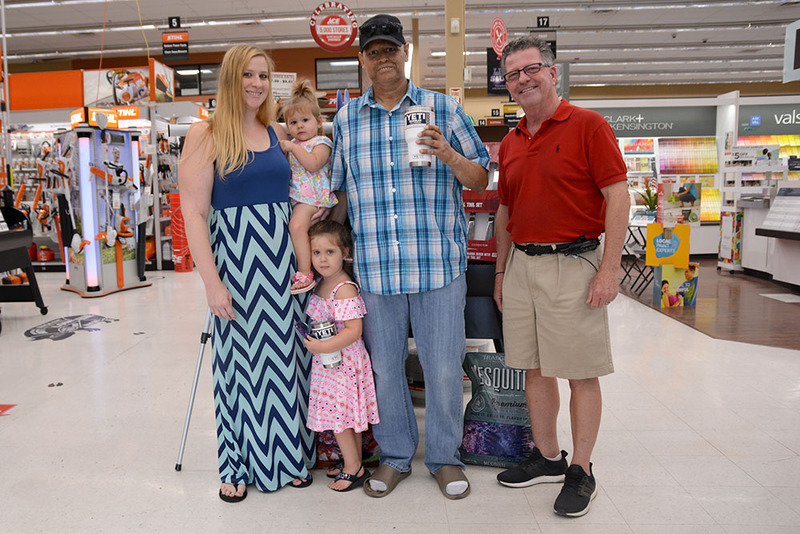 In the case of the winner, it took enthusiastic support from military buddies to win the coveted prizes from Maricopa Ace Hardware. Cortney Fröm nominated her husband Derick Fröm very late in the competition, which was based on InMaricopa’s Facebook page. But then she started sharing it. Within hours, Fröm had accumulated 400 and then 500 votes and more. The win brought Fröm a new Traeger grill, pellets and accoutrements from Ace owner Mike Richey. Fröm said he thought it was “cool” that his wife entered him in the contest but was “shocked” that he came out on top. “I just didn’t think we were going to win, we entered so late,” he said. 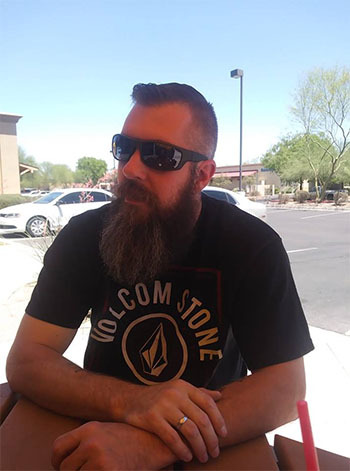 Derick Fröm spent eight years in the Arizona Army National Guard. His continuing relationship with current and veteran service members, especially a group calling itself Drinkin Bros: Dads, was key to totaling nearly 600 “likes” on Cortney’s nomination. The Fröms, who include Maddex, 9, Troy, 7, Archer, 3, Rowan, 2, and Atlys, 1, have lived in Maricopa just three months, moving from Mesa. Derick and Cortney have been together seven years and married three. Finishing in second place in the Best Dad contest was local Realtor Jase Leonard. 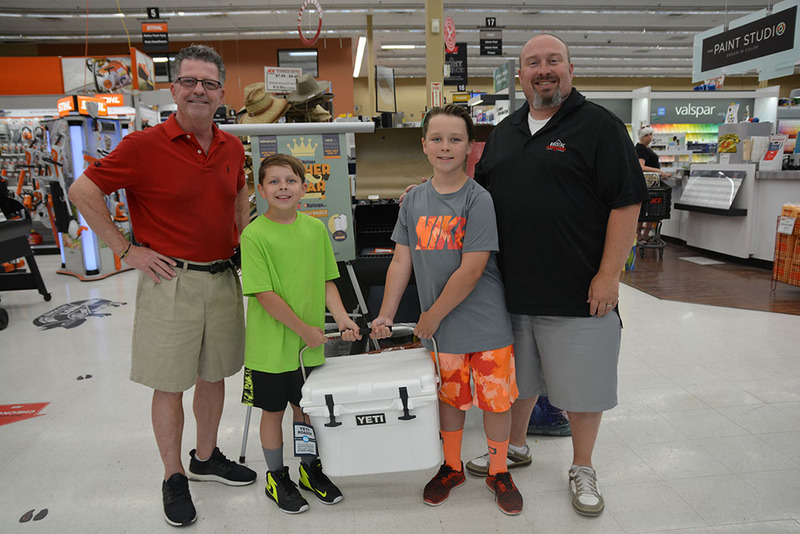 He and his two sons, Caden, 10, and Jaxon 8, took home a Yeti cooler from Ace. The Leonards have lived in Maricopa for 12 years. There was a fierce battle for third place in the contest that went down to the wire. In the end, Jason Foree claimed the 30-ounce and 20-ounce tumblers. A highway inspector by trade, Foree has been battling leukemia for the past year and is currently in remission. The girls are Audra, 3, and Joy, 1. Foree just edged out Chris Marshall. Marshall’s “likes” continued to come in even after the June 14 deadline. All of the top four finishers received more than 100 likes. See all of the great Father’s Days tributes among the nominations at https://bit.ly/2t3MoJD.